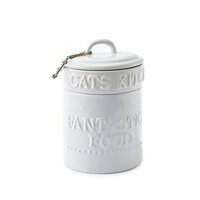 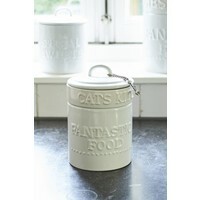 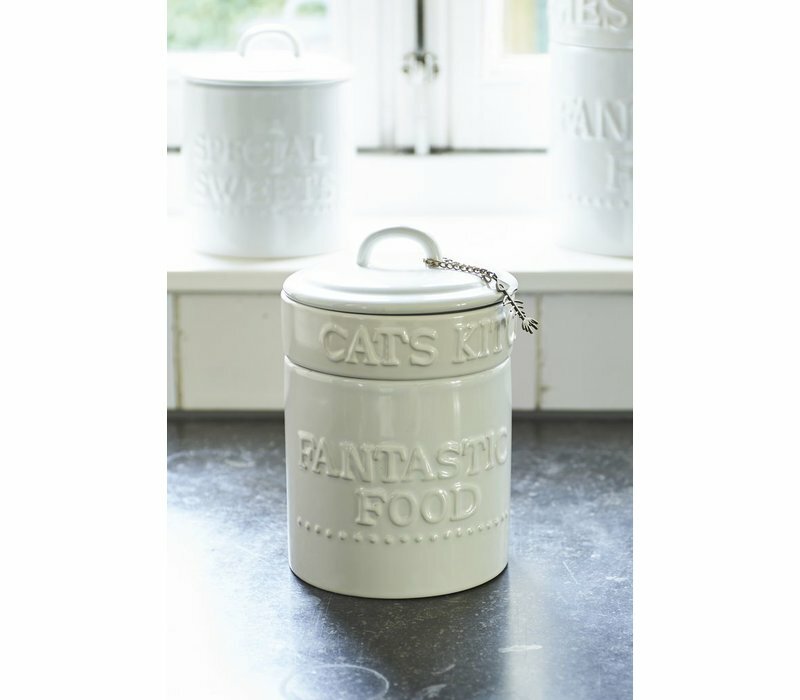 Keep your cat purring with the Cats Kitchen Jar. 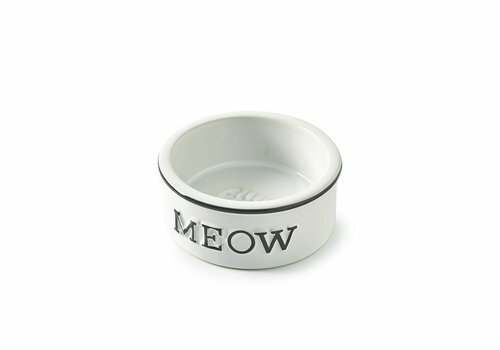 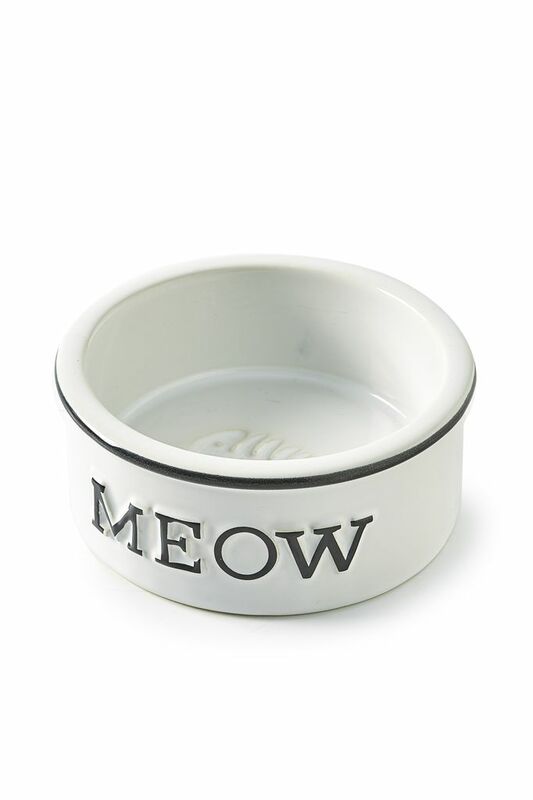 This two-in-one piece is great storage for your cats food but also serves as a food bowl. 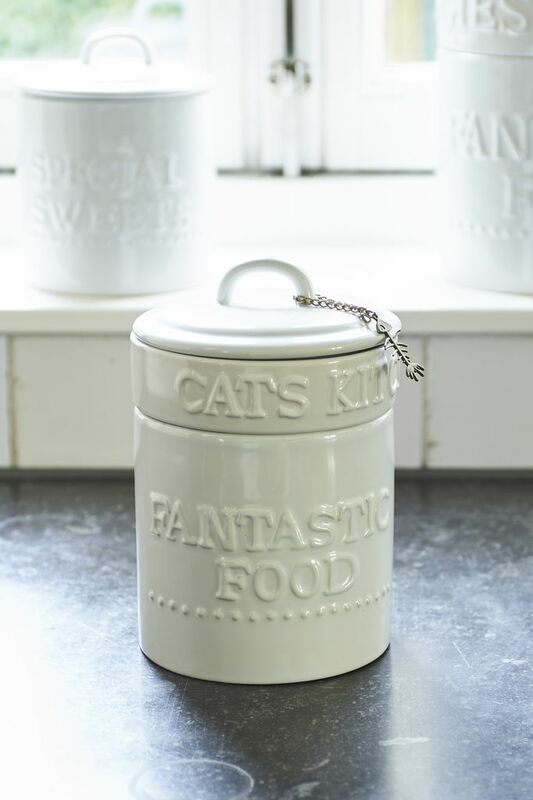 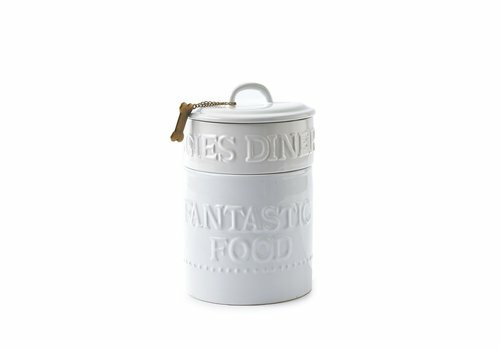 Perfect to keep everything together in one stylish jar. 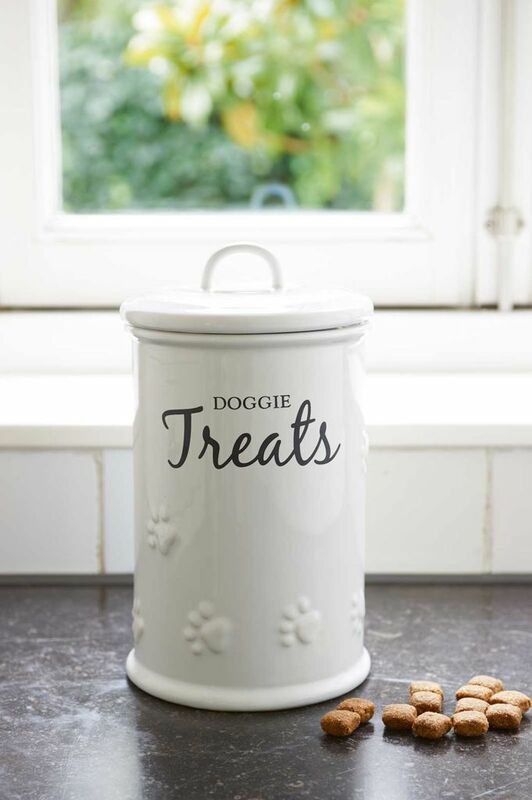 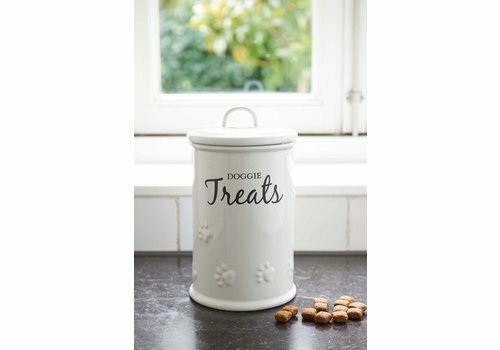 Dog jar also available. 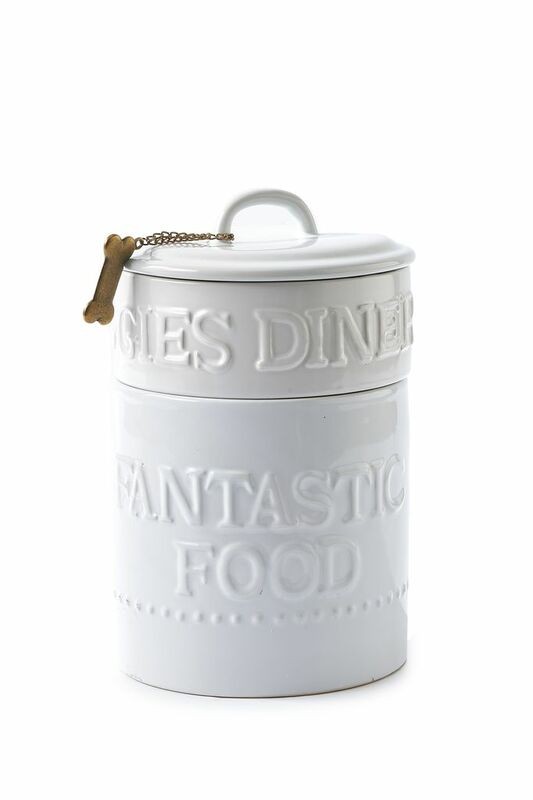 14cm diameter, 21cm height. 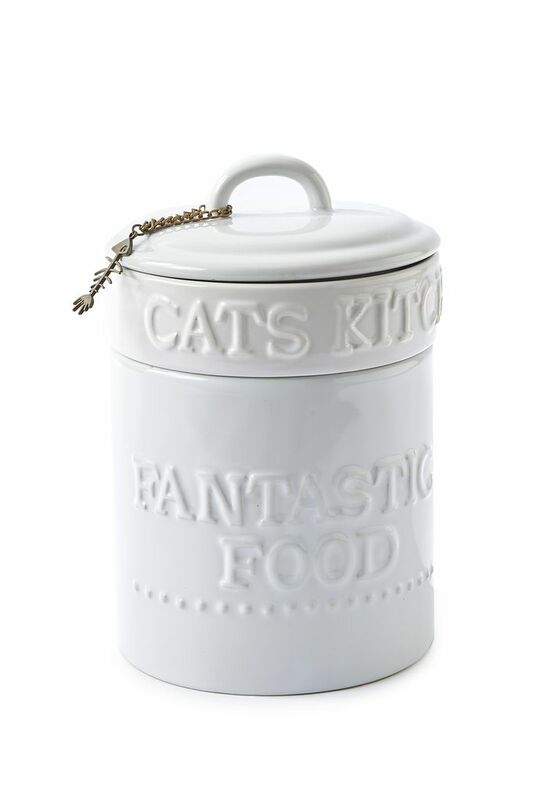 Material: earthenware.